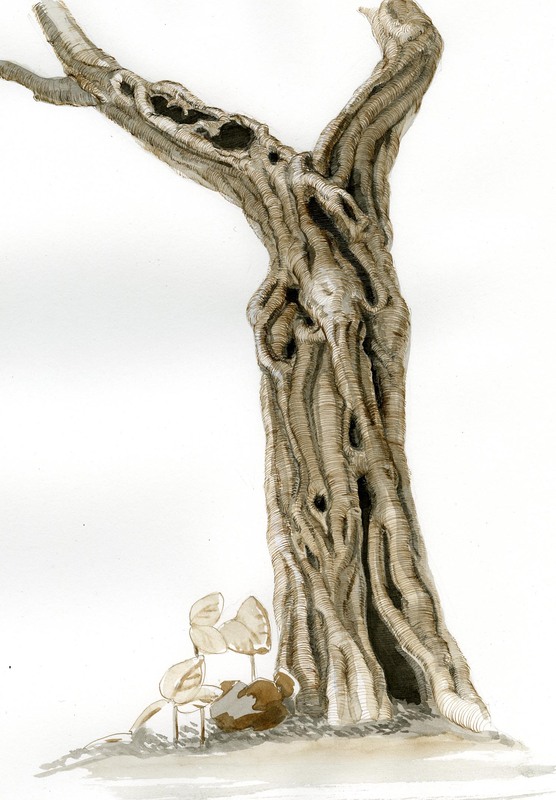 I am doing a small series on trees – here is the first of them. Pen and ink, both India ink and walnut. This is a tree in a small park near where I live, and I sat in the park with my gear. That bent tree in Volunteer Park.